Your loved one is incarcerated. It’s a trying time for the entire family involved. You head out to the store and see so many things that remind you of them, that you want to get them all and send it in a huge care package. We totally understand that outside is tough enough, but when you start seeing all the things you want to send to your loved one, you must stop, and think are they even allowed to have it? What can I send them? What’s on the do not send list? These are all very good questions because there are several things you absolutely cannot send to your loved one in prison, while there are a ton of things you can send them to make their day a little brighter. Have no fear, your loved one will love you for this care package by the time you are done stuffing it with prison-approved goodies! What is A Care Package & Why You Should Send One? A care package is a package full of goodies for your loved one. It doesn’t have to be anything fancy or even extravagant. It’s just a little something to brighten up your loved one’s day. Sending a care package could make your loved one’s week. Just knowing that you thought about them. It contains little things like photos, goodies, and sentimental items. You should send one just because it boosts moral. When you are in prison, you are stripped from everything you love. Getting a package or even a letter can bring a little bit of home to your loved one. What CAN You Send to Prisoners? There are many things you can send to your loved one. However, for this piece, we will discuss the universal things (that all jails will accept). I do want to remind you that this is not the only things you can send your loved one in prison. You will have to consult with the prison or jail your loved one is in to get the full list of approved items you can and cannot send them. In certain cases, there are companies like Union Supply Direct that knows all of the prison guidelines like the back of their hands and know what you can and cannot send inmates. You can customize your pre-approved package that will meet the criteria of your loved one states guidelines. These packages can include anything from hygiene products, clothes, entertainment and much more. It’s very similar to sending your child in college a care package. It’ll be the best thing you can send them while they are incarcerated. There are more companies out there other than Union Supply Direct too. These companies are a godsend. Especially, if you are unsure of what of this or that. At least you know what you are sending is approved by the states guidelines and won’t have to worry about them sending or disposing of any items your loved one is not allowed to have. What About A Food Care Package? Some prisons allow a few times a year where you can send in a food care package. You will have to check with your prison as they sell food items in the commissary. If they you will be able to take advantage of the pre-approved food care packages that includes loads of snack foods such as chips, candy, cookies, and sometimes even soft drinks! This may not sound like much to you, but to your loved one this is the entire world. What You CANNOT Send to Prisoners? Now, that you know the basics of what you can send your loved one. Let’s get straight into the big no-noes. There are many things that your loved one will not be able to receive, while they are incarcerated. Tip to the wise, the above list is just the universal list of what is not accepted in most prisons throughout the States. Each prison has a list of what you can and cannot send. I highly recommend you ask for a copy to make yourself aware of everything that is not accepted in a care package. But a good rule of thumb is if you won’t give it to a child, it should not be added to the care package itself. Always remember your package will be opened by personnel before reaching to your loved one. If an item comes close to anything listed above, they will air on the side of caution and will confiscate the item before allowing the inmate the package. Of course, your loved one deserves the best care package known to man. You already know that you can send cards, letters, photographs, commissary money, and any and all reading material. While this is just the main things, there are other things you can send. You will need to run by any and everything to the prison they are in to make sure it is on their safe list. But how can you make that into the best of the best care package? That’s pretty easy, you know your loved one more than anyone else. What would remind them of home? What would keep them going from day to day? One great way to keep in touch with your loved one is to send them letters and cards. This is the cheapest way of communication you will have. One thing to keep in mind of when sending cards, be careful of the types of cards you get. The best cards you can get for them are just printed on cards. Nothing fancy. No glitter, no bejeweled type of cards. Because if the personnel things it can be used as any sort of weapon, they will not even be able to see it. Don’t forget in your letters and cards to send photos! Inmates can have photos. Photos will be their lifeline to see how everyone is doing on the outside. Send photos regularly. Take photos at events, holiday’s, and family gatherings. They will appreciate that you are thinking about them and would love to see them on days when they feel all alone. One of the best things you could possibly send is commissary money. Anyone incarcerated can tell you prison food is not the best, and they don’t want to eat it for the remainder of their term, if they do not have to. With commissary money, they will be able to buy better food, snacks, hygiene products, stationery, and much more. The commissary is their version of Wal-Mart. Any money they have in their account they can use for their personal use. Not to mention, they will love you for saving them from eating the prison food. Let’s put it this way, depending on what type of security level prison your loved one is at, they can potentially have jobs to fund their own commissary. However, these jobs don’t pay much at all. Some reports say the average pay for an inmate is $0.86 a day, while there are some states that don’t even pay for prison-related jobs. While the prison does provide with not so good soap, razors, toothbrushes, toothpaste, etc. when they are first admitted to prison, but within due time those break and make you feel less human. Or perhaps you are tired of getting cut by your cheap razor and want a better toothbrush. By sending them even a little bit of money each month, they will be able to upgrade their hygiene products. They’ll be able to shave without getting cut every other stroke. They’ll ultimately be able to feel like a human again. That can change anyone’s mood for the day. Of course, your loved one can buy stamps with their commissary money. However, their commissary money can also be used to load up money on their telephone cards, so they can call home. Some prisons have where you can send money for their telephone cards directly, so you will want to see if your prison offers that too. You remember those days when you were grounded, and the only thing you could do is read a book. Well, think of it that way. Your loved one will have a ton of free time on their hands. What better way to use it than catching up on all reading material? You will certainly want to send them their favorite magazines, newspapers, and books. Some jails do have a library on property, so you will want to coordinate what you will send with that they already have access to, to save you money. But, this is a great time killer. It will allow your loved one to escape reality even if it is just for a little bit. You got your care package set to the prison guidelines already to go. Now, where do you send it? You will need to contact your prison where your loved one is in to find out the mailing address. All packages must be delivered to the prison. As I mentioned earlier before your loved one will receive your package, it will go through examination by a personnel staff. They will look through everything. You must remember, there is no privacy whatsoever here. Whatever you send your loved one you must be fine with others seeing it before they do. If they do not like an item or it goes against guidelines, they will either dispose of it right then and there, or they will mail it back to you. Please, do not try and sneak things in there that they should not have. You will only be wasting your time and theirs. Plus, in some instances, it will not look good on the inmate either. Sending a care package to a loved one in prison can be quite tough. There are many things you need to take into consideration while you are crafting up the perfect care package for your loved one. 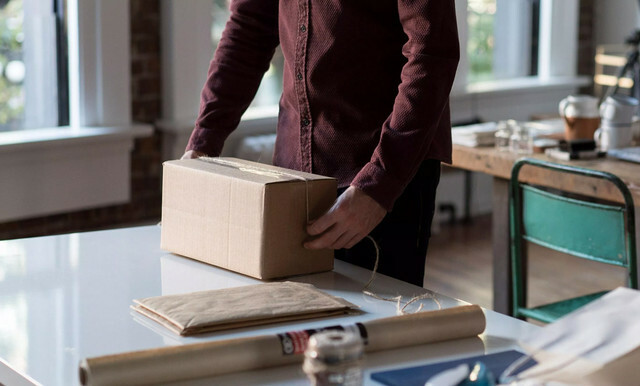 Always keep in mind, if things get too tough and you are having trouble finding prison-approved items, you can always use those pre-approved package services. Granted it will cost more, but you will have the peace of mind knowing that you sent your loved one everything that was on the approved list by the prison. The top fun things you can send inmates will always be money. They can use that to buy the necessities that we tend to take for granted. It may make you feel like you failed them, but I promise you, you didn’t. That will brighten up their day. They will not only be able to get their hygiene products, but they will also be able to phone home and tell you about their day, and that’s the best thing you could ever ask for. Ultimately, crafting the perfect care package will fall on your shoulders. They will be appreciative of anything and everything you send them. Just remember that to contact your prison for their list of approved and not approved items, make sure you have the correct inmate number, and locate their mailing address. Most all, don’t be hard on yourself. Whatever you send them will brighten their day. Even if you don’t have tons of money to spend, whatever money you do spend will not go to waste. They will cherish that care package more than you will ever know.